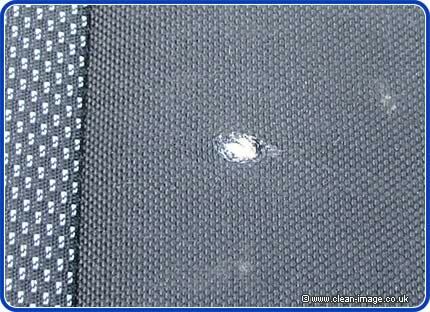 When Young Ross McKay brought his Nissan to us for a cigarette burn repair, we referred him to Trimcare in North Essex (No longer trading), the reason for this is twofold, firstly it is not always possible to stitch up burn holes on certain kinds of fabric, as the size of weave, texture, pattern, or kind of material sometimes doesn't lend it's self to this kind of repair. The second and probably most important reason is that on high value cars, a cosmetic type of repair of the kind carried out by New Again sometimes just isn't good enough to address the devaluation caused by this kind of damage. Close up of the burn, the material doesn't lend it's self to being sewn up with needle and thread. 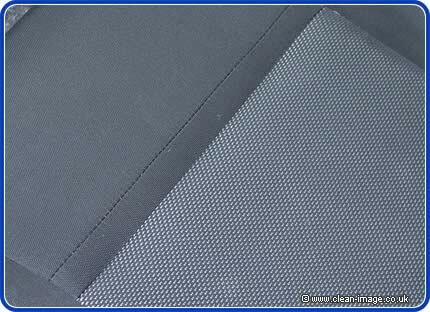 In situations such as this there are a number of techniques that can be used by a professional vehicle trimmer, he can replace the damaged panel (if it's possible to match the fabric), he can pinch the damaged area into an existing seam, or he can create a new seam. In this case is was decided that the burn hole was to far from the existing seam, so a new seam was created. Obviously both front seats need to match, so a new seam was sewn into both driver and passenger seats. 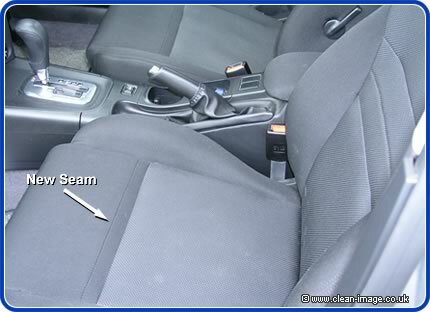 The new seam is sewn into both front seats to make them match, compare the seats in this photo to the seat pictured at the top of the page. 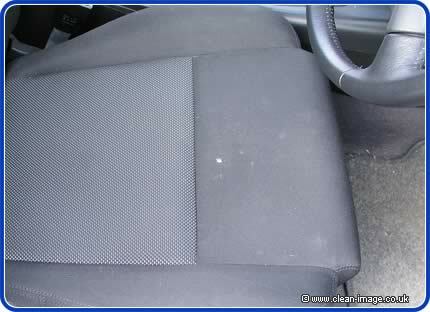 In order to carry out this kind of repair the whole seat cover needs to be removed. Lee from Trimcare is able to handle seats that contain airbags, heating and other electrical gizmos often found in high-end cars. The area where the damage is is simply pinched to swallow the burn hole and sewn in. The whole process took under three hours. Close-up of the new seam, If I hadn't told you, you would never have known that this was a repair, looking as it does like a factory made feature of the seat. "Very quick and extremely friendly service. Knew what he was doing and carried out a very professional job. No hesitation in recommending him to anyone else. " Trimmers can carry out upholstery repair and seat recovering, for both leather and fabric. They can sometimes repair fabric hoods and can replace soft plastic rear windows. They make up carpet sets and carry out work on classic and custom cars.